We have made an investment with you in mind – please pray about partnering with us or sharing a donation to help us continue to serve you with cutting-edge prophetic television! 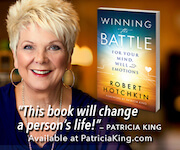 Please click here to watch all our Patricia King TV programs online at your convenience. GOD TV is carried on Direct TV – Channel 365. Our program airs on Thursday evenings at 6:00 PM EST. Visit GOD TV’s schedule for other airing times. In Canada, GOD TV is carried on Glorystar Satellite Systems. 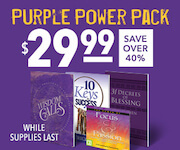 Visit GLORYSTAR for more information. For other nations, please visit GOD TV directly for times and dates for Patricia King – Everlasting Love shows. Our program airs on Sunday evenings at 7:00PM MST. Visit AZTV schedule here.